Specific foods don’t cause or trigger Crohn’s disease. You may need to use trial and error to see what helps (or hurts) your symptoms. 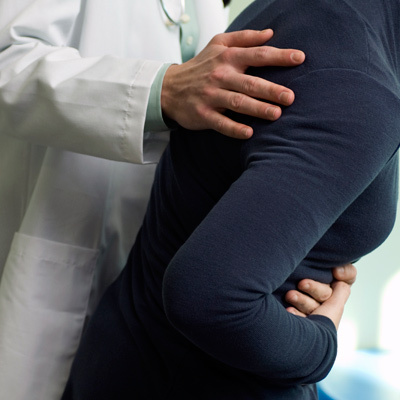 Crohn’s disease is a chronic, incurable inflammatory bowel disease (IBD). Symptoms include severe belly pain and diarrhea, among others. Certain foods or eating habits can exacerbate Crohn’s disease symptoms, although they aren’t the underlying cause or trigger of the IBD, says Sunanda Kane, MD, professor of gastroenterology at the Mayo Clinic, in Rochester, Minn.
Keep track of everything you eat, how you feel after you eat it, and the status of your disease to determine what types of food worsen your IBD symptoms. Because it’s different for every person, writing everything down is the best way to learn what your body can and can’t process. Just like the general population, lots of people with Crohn’s disease have some level of lactose intolerance. The conditions are usually unrelated, but they do share many of the same symptoms. Corn, beans, and stringy vegetables like raw celery and broccoli aren’t easily digested; in Crohn’s they can cause cramping, bloating, and diarrhea. Cepo cautions patients to limit beverages with caffeine, carbonation, or too much sugar—all things that can make GI symptoms worse. People with Crohn’s disease often give up meat, beans, and cheese. But without protein, you can lose muscle mass. “People say to me, ‘I gave up red meat because I can’t digest it,’ but it’s because they’re trying to eat a normal American-size helping of steak or a giant burger,” says Dr. Kane. “I tell them to eat 6 ounces of really good quality red meat; that way they’ll get the iron and protein they need without overdoing it.” Fish, tofu, beans, and eggs, if they’re well tolerated, are also good protein sources. Although it’s not a long-term solution, people with Crohn’s—especially those with intestinal blockages who are unable to process solid foods—can try a temporary liquid diet. A liquid diet can give the intestines a rest, which can help suppress symptoms. However, this diet should be carefully planned with your doctor to ensure you’re getting all the right nutrients. All people with IBD should take a multivitamin, says Dr. Kane, because they’re probably not getting all the nutrients they need. In between Crohn’s flare-ups, if you’re feeling better, eat normally and enjoy your food.